There are times when you just need an extra boost to keep up with our daily activities. Sometimes, you need a little support to feel energized an alert for hours and that is where 5 Hour Energy can step in to help. What is 5 Hour Energy? It is basically an energy shot that was made to help people who are always on the go and need all the energy that they can get to be able to work hard. It contains key ingredients which can also be found in foods such as apples, bananas, avocados, and broccoli. It also contains B-Vitamins and amino acids and caffeine, which is as much as a cup of premium coffee. Below are the latest 5 Hour Energy prices. This energy drink is manufactured in the United States by Living Essentials LLC. The company, which was launched in 2003, was founded by Manoj Bhargava who is an Indian American businessman and philanthropist. By 2012, retail sales of 5 Hour Energy had grown to an estimated $1 billion. The high sales can probably be attributed to the fact that Living Essentials holds more than 75% of the market. In addition to that, it helps that this energy shot is considered to be quick, simple, and effective. It also contains zero sugar, zero herbal stimulants, and only 4 calories that is why even people who are health conscious are not hesitant to take it. You can take a 5 Hour Energy shot whenever you need an extra boost of energy. 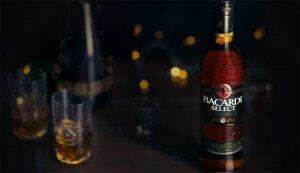 Just keep in mind that you need to limit your daily intake to a maximum of two bottles in a day. Also, make sure that you take them several hours apart. 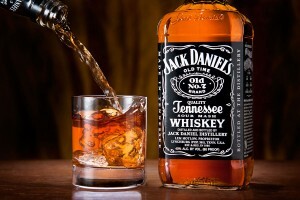 Depending on your lifestyle, you can take a shot any time of the day. For instance, if you are not a morning person and coffee does not work for you anymore, you can take a 5 Hour Energy shot to start your day right, feeling energized and recharged. When you feel suddenly exhausted at work after lunch time, you can also take an energy shot so that you can get your energy back and finish off your work by the end of the day. If you are having difficulty finding the will and motivation to shed off those extra pounds by working out, you can get the energy boost that you need from a shot of 5 Hour Energy. It can also help you stay focused while working out or while you are engaged in sports because it can give you a combination of energy, clarity, and alertness. The bottom line is, you can take a shot of 5 Hour Energy whenever you need an extra dose of energy. However, although this energy shot is generally safe, it should not be taken by women who are pregnant or nursing, children, and people who are diagnosed with phenylketonuria (PKU). Also, it is always best to consult with your doctor if you are taking any prescription medications, you have been previously advised to avoid any stimulants or caffeine, or if you are just concerned about taking any energy shot. For variety and to suit the needs of different people, 5 Hour Energy Shots come in different strengths and flavors. For the Regular Strength 5 Hour Energy variety, there are six available flavors: berry, grape, citrus lime, orange, pink lemonade, and pomegranate. The berry flavor was launched in 2004 and is the original energy shot flavor. It is still one of the most popular flavors because it is considered as the classic and it has the perfect blend of B Vitamins, nutrients and caffeine for a great pick-me-up. The caffeine content of the Regular Strenght variety is comparable to the caffeine content of a cup of premium coffee. 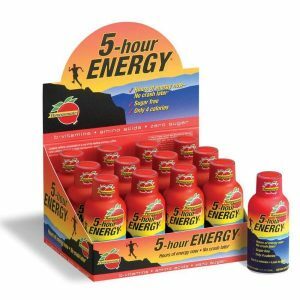 For the Extra Strength 5 Hour Energy variety, there are seven available flavors: apple pie, berry, blue raspberry, grape, sour apple, strawberry-watermelon, and peach-mango. The caffeine content of the Extra Strength variety is comparable to the caffeine content of a 12 ounce premium coffee. A decaf 5 Hour Energy shot is also available, but it only comes in one flavor, which is citrus. This variety is recommended for those who have a sensitivity to caffeine, but still need a way to get an extra boost of energy. The decaf 5 Hour Energy Shot has the same contents as the regular strength variety, but without the niacin. It also does not give a jittery caffeine feeling as it only contains as much caffeine as half a cup of decaffeinated coffee.